“16 Years” – The NCIS murder case of a retired Navy Lieutenant Commander forces Ducky to reveal his participation in a secret society that solves cold cases, on NCIS, Tuesday, Nov. 3 (8:00-9:00 PM, ET/PT), on the CBS Television Network. Jessica Walter guest stars as Judith McKnight and Richard Riehle guest stars as Walt Osorio, both members of the secret society. “Blame It On Rio” – NCIS Special Agent DiNozzo (Michael Weatherly) partners with the NCIS: Los Angeles team to search the city after his prisoner escapes custody on a flight from Singapore to Los Angeles, on NCIS: LOS ANGELES, Monday, Oct. 19 (9:59-11:00 PM, ET/PT), on the CBS Television Network. 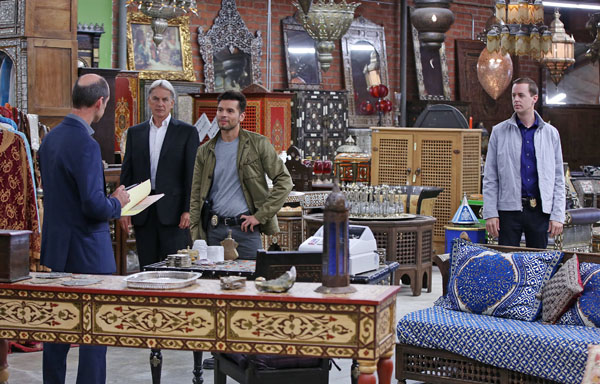 CHEAT TWEET: #NCIS’s @M_Weatherly turns to the #NCISLA team to help locate a missing prisoner! Special crossover ep 10/19 9:59pm! “Viral” – When a petty officer’s murder matches the M.O. of a local serial killer, the NCIS team must determine if this is the killer’s latest victim or the work of a copycat. Also, McGee and Delilah must learn to compromise before moving in together, on NCIS, Tuesday, Oct. 27 (8:00-9:00 PM, ET/PT), on the CBS Television Network. Series regular Rocky Carroll directed the episode and Margo Harshman returns as Delilah Fielding. “Lockdown” – While visiting a pharmaceutical lab on a murder case, Abby is trapped with no communication to the outside world after armed men take over the building and hold everyone hostage, on NCIS, Tuesday, Oct. 20 (8:00-9:00 PM, ET/PT), on the CBS Television Network. Tony Gonzalez, former NFL player and studio analyst for THE NFL TODAY on the Network and contributor for THURSDAY NIGHT FOOTBALL, guest stars as NCIS Special Agent Tony Francis. 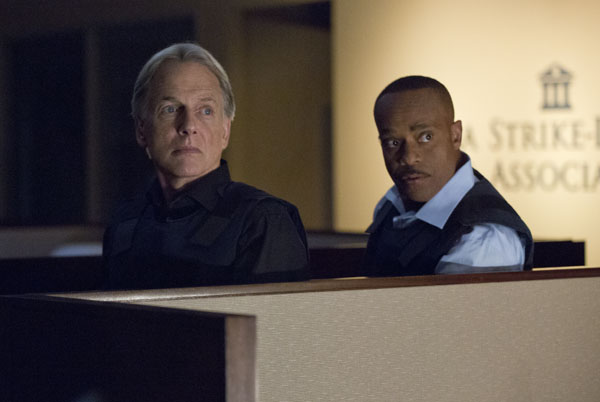 “Double Trouble” – Vance partners with Gibbs and returns to field duty when a murder case is connected to a former NCIS agent he locked up for stealing evidence, on NCIS, Tuesday, Oct. 13 (8:00-9:00 PM, ET/PT), on the CBS Television Network. 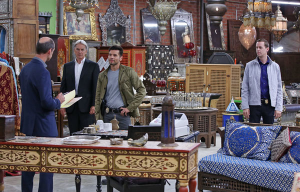 “Personal Day” – Gibbs calls on the team to assist DEA Agent Luis Mitchell (John Gabriel) with a case that keeps going cold, but DiNozzo discovers there is more to Gibbs’ personal connection to the agent and his desire to help him succeed. Also, the team gossips about Gibbs’ new look after he replaces his standard military haircut and polo shirt for a modern cut and tailored dress shirt, on NCIS, Tuesday, Sept. 29 (8:00-9:00 PM, ET/PT), on the CBS Television Network.